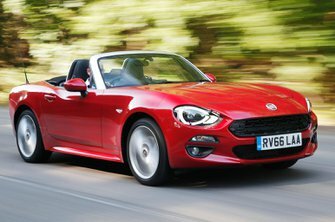 Fiat 124 Spider Boot Space, Size, Seats | What Car? While there’s sufficient space for most adults in the cabin, oddment storage is stingy. There’s no glovebox, the cubbies in front of and behind the gearlever are tiny, and the three compartments behind the seats are pokey, too. There is a pair of flimsy, movable cupholders, one of which can be fitted next to the passenger’s right leg. Alternatively, both can be mounted on the transmission tunnel, in prime position to be knocked by your elbow. 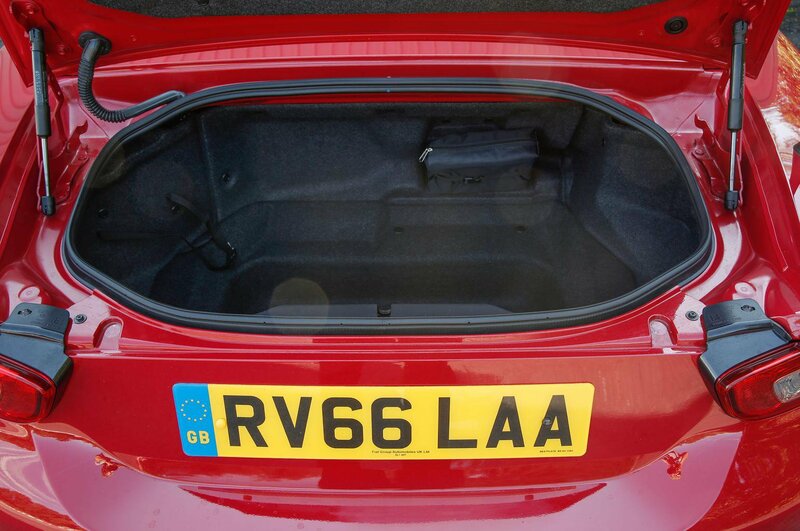 The boot loads from the top like an American washing machine, but is sadly far less capacious at just 140 litres. That’s 10 litres more than the MX-5’s, at least. The boot’s shape is irregular, too, so to get a week’s luggage for two inside you’ll need to bring squashy bags and go easy on the packing. Still, such things don’t overly dampen the spirit of roadster living.